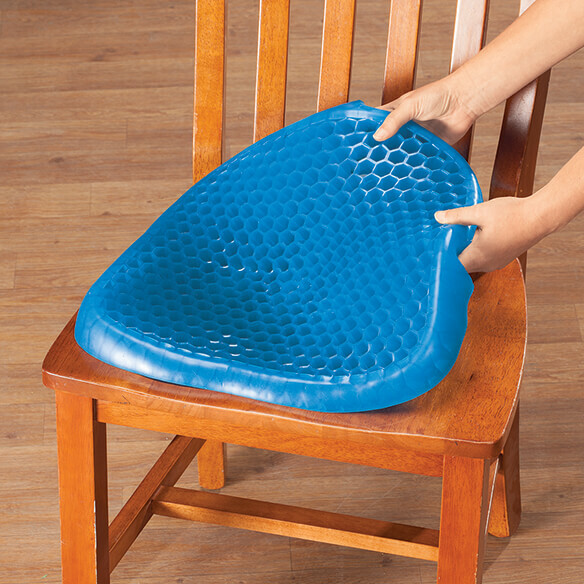 Innovative Honeycomb Gel Seat Cushion with Cover by LivingSURE™ flexes and conforms to fit you, then returns to its original shape. 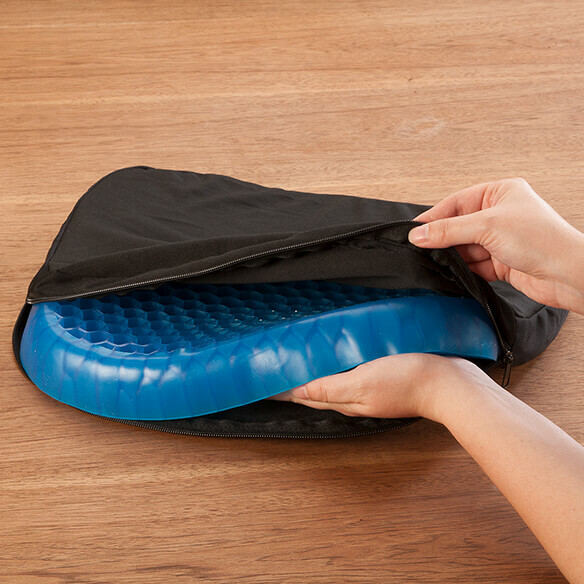 As the design supports and cushions, the pressure cushion takes the pressure off your back, hips, tailbone and back side, helping you sit more comfortably with less pain and stiffness. 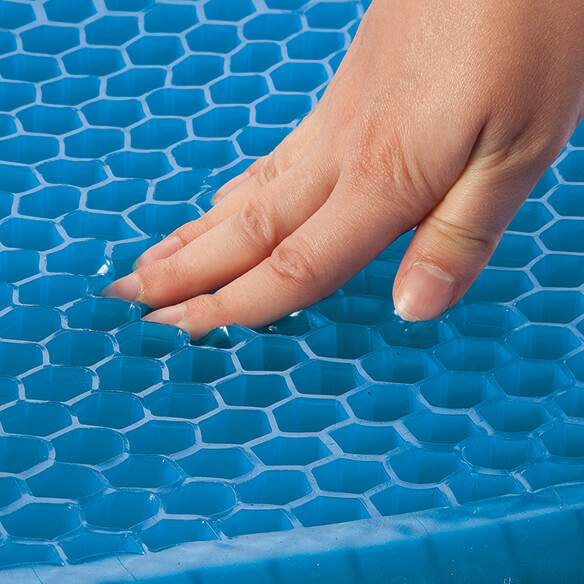 Honeycomb-style grid provides optimal lumbar support while allowing air to circulate, keeping your seat dry and cool. Honeycomb cushion is perfect for car rides, watching TV or any time you sit for long periods. This will be the second one I've ordered. Love the first one, very comfortable and lasted over a year before needing another one. For the price very good investment! My mother sits most of the day in her recliner, and this will make it more comfortable for her. I love the one I previously purchased and got these for my husband and for my chair at work. I don't want to have to keep taking my only cushion with me to the office. For My Dad @99 yrs.